These were the words of Pastor Stefa Havlik’s wife, writing to him in prison in the 1950s, where he was held for preaching the Word in the East European country of Slovakia. 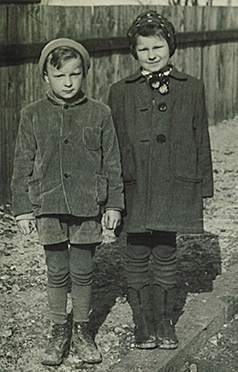 Their story, shared by author Viola Fronkova, is one of many in her book The Church Under Oppression, published in the Slovak language by LHF. Fronkova is now at work on a second volume of The Church Under Oppression, which details the lives of Lutheran pastors facing extreme persecution by post-World War II Communist leaders. Fronkova explains, “The spiritual unity of Lutherans was broken by that Communist persecution: there were pastors and other believers who carried the cross, who were imprisoned for their faith in the Lord God Almighty. Others were misled by many State policy lies, some even bringing reports to the State authorities against their fellow neighbors, with sad consequences. Even as they were persecuted (altogether up to 35 Lutheran pastors, including Havlik, were sentenced together to 100 years of imprisonment), some Lutherans continued worshipping in private, keeping the faith alive. 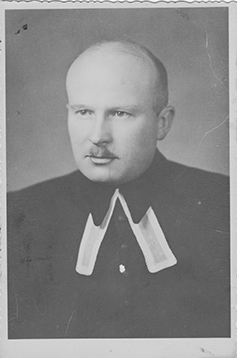 One such Slovak was Lutheran pastor Pavel Uhorskai, imprisoned from 1951-53 for preaching the Gospel (photos at top of page). Once released, he was banned from preaching until 1990. So instead, Uhorskai quietly met with other persecuted Lutherans to maintain the church. “In that group,” said Fronkova, “the idea came out to prepare the written document about the oppression of the Church under the Communist regime. Pavel Uhorskai did this task” – which became the start of The Church Under Oppression. Fronkova later worked for Rev. Uhorskai as his secretary. Because of her close relationship with him, his heirs approved Fronkova’s finishing the book after he passed away. “Since 2003, the files of the State secret police of former Czechoslovakia have been opened for public viewing. This meant that I could read many thousands of pages of interrogations from court proceedings and so on. I also put a lot of effort into seeking the families of persecuted pastors to get more firsthand information from children and (by now, only a few) widows—what it was like to live in reliance on the Lord and His mercy when their dads, their husbands, were persecuted and prisoners,” she explained. Now, in this time where the Lutheran church in Slovakia is still recovering from the Soviet era, Fronkova says The Church Under Oppression volumes offer proof of God’s people keeping the faith in times of tribulation and is a great source of comfort and encouragement. Volume Two is expected later this year.